i-Saksham, our initiative is working on an initiatve on providing education in remote and naxal affected areas, through Android tablets. 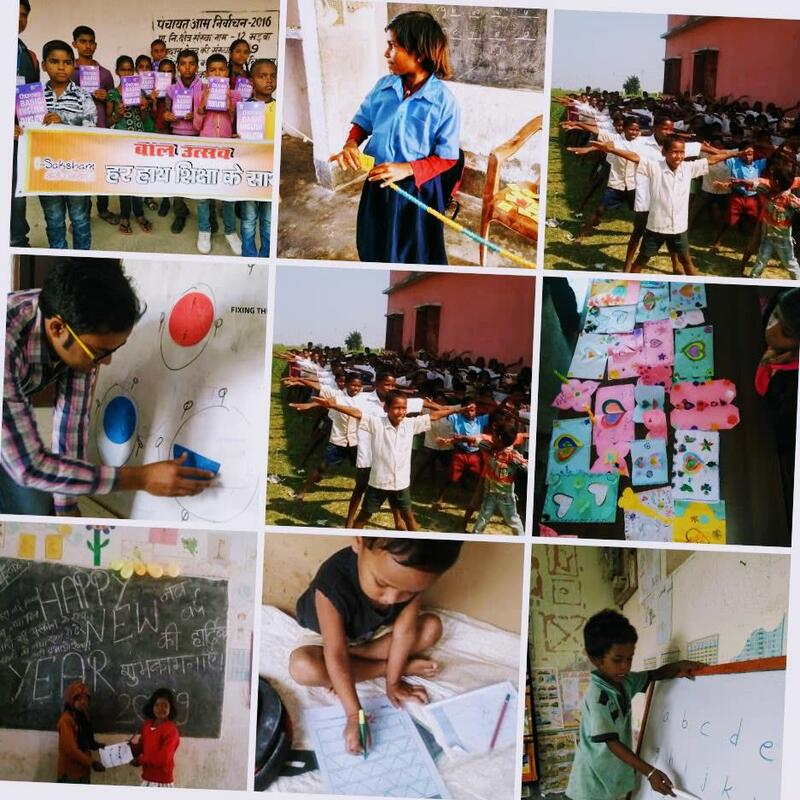 Started by Prime Minister’s Rural Development Fellows () in Bihar, the initiative in now in its 3rd year and has taken shape as a not-for-profit entity, which would further the work to FOCUS on children in remote and extremism affected areas e.g. Naxal Affected Areas, North East and J&K. We have been able to reach close to 3000 children through 40 community tutors and 3 schools. Most of you contributed to that. The experience from the last two years gives us enough confidence to take this up further. It is time to scale now. We will buy tablets in bunch, so as to reduce costs. Given that the scale is rising, we will recruit people who can do day to day coordination of the work. We have been spending considerable time in content adaptation and content creation, if there is a need. Need additional resources for that. We had applied for help to government and corporate. Government is too slow and we are too small and not-to-the-criteria for CSR (need to be at least 3 year old for that). So, we have turned to you. 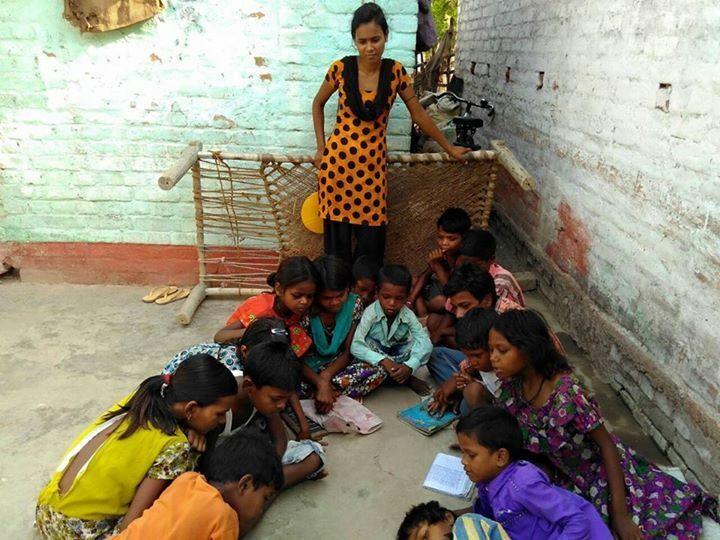 The target for reaching out to 8-10 thousand children through 200 tutors is somewhere around 12 lakh, around 1200 per child or 100 Rs per month per child. Out of this, we will raise around 2 lack from tutor repayment in first year. We plan to raise the rest through own/supporter contribution. 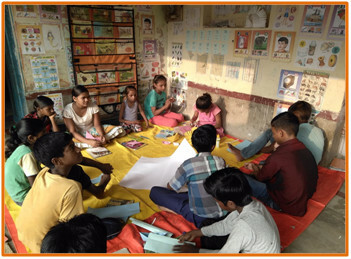 Again we come to you, to seek your support to i-Saksham, in its endeavor to provide quality learning opportunities to children in difficult areas. In the last update, we shared that we have now become a batch of 50 fellows in this FY 2018-19, having scaled our last year prototype of i-Saksham fellowship with 17 fellows, and that Niwas, and Nalini, our ex-team members got through Azim Premji University, Bengaluru and Tata Institute of Social Sciences, Mumbai respectively to pursue their respective dream courses. They have raised the bar of imagination for each one of us as how good opportunities and right mentoring can harness the unlimited potential of youths of these backward regions of the country. 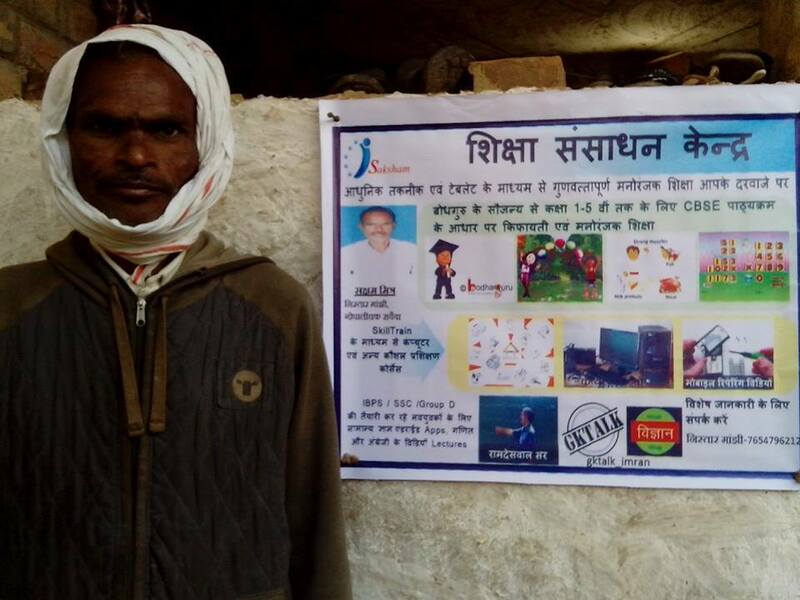 We are now sharing in 3 parts, an inspiring story of change of Sanjay Ji, our i-Saksham fellow of the first pilot batch. Sanjay Ji, aged 40 is from Matadih Village of Munger District, Bihar. He started teaching in 2010 i.e. 8 years back at the age of 32 with an intention to become self-independent, after making many attempts to clear government bank examination. 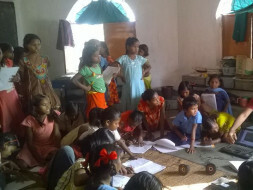 His father’s death and his growing age became an immediate trigger for him to start his learning centre which could help him sustain economically and at the same time remain connected with education. He started with just 2 kids. 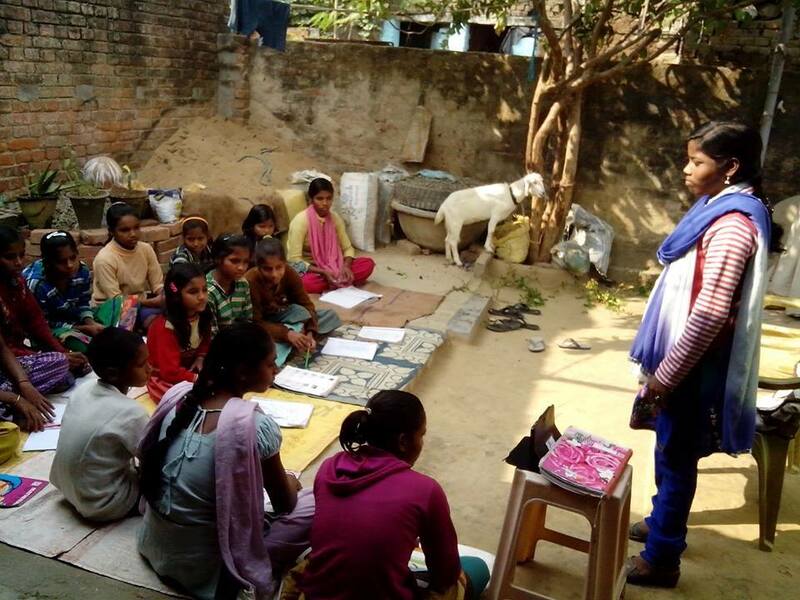 In 2017, he applied for i-Saksham fellowship program with the expectation to learn innovative pedagogy methods to engage children better, and improve their learning outcomes. He was struggling to teach children of multiple learning levels. In last one and half years, he has grown as an inspiration for his creative and innovative teaching practices. For example, he would bring a Weighing balance to teach children about weights. 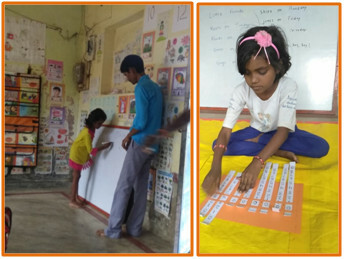 As you can see below, his learning centre ensures that children learn every time they look around. As of today he teaches more than 60 children at his learning centre!! The enrollment has more than doubled within last 6 months. His continuous efforts and training have made him emerge as a role model for many teachers and community tutors. Teachers from nearby areas visit him to learn. In the next update, we will share other innovative practices he undertook that led to such a massive increase in enrollment of children at his centre. Please write to us at contact@i-Saksham.org for any clarifiations. May your capabilities and name grow 100 times, every moment. Happy Birthday Uma! !